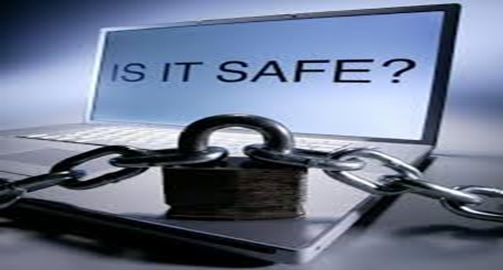 In the information age, it is better to be safe than sorry. Your Internet service provider is always looking over your head and so is every scammer and hacker online. ISP doesn’t care if you are a slip and fall lawyer or just a hawker on the street, the highest bidder on call can buy your details in five minutes. It is annoying to have your paid services blocked just because you travelled to another geographical region. If you want to continue accessing the blocked services that you are justified to use, just hide your Internet Protocol address and negate all the bans. Sometimes you feel chained by the constant messages from cold pitchers. Why? They can keep a trail of where you are and follow you there. By going off the radar you take them off your back and restore your freedom. There are those workplace and school restrictions that step on your productivity. A hidden IP a ddress allows you to bypass them. You can stream, download and share data at your own convenience and safely. Identity theft and the loss of you company systems are not things you look forward to. If you want to protect yourself from hackers and be able to browse with peace using public Wi-Fi and hotspots, not revealing your Internet Protocol will do the magic. It allows you to browse through websites, check mails, use social media and even perform banking transactions with peace of mind. If your business is doing well, be sure that your competitors will be tempted to watch your back and learn the tricks. You can lose that trail and enjoy autonomy and anonymity. Governments have started putting surveillance trails on their citizens and soon it might spread. If you don’t want them or your internet service provider knowing what you are up to, then using VPN is a must. For journalists, celebrities, law enforcers and politicians, their lives no longer have privacy. Everyone is looking for a cat to release. Some might even want to access your private research that you may not want traced back to you. If you value privacy and anonymity, this is not an option. The unique string of numbers can build or break or you. You cannot afford to lose your reputation with just a click of the mouse when technology has provided you so many solutions to be safe. With scammers and hackers working on the clock, Ignorance will be your worst enemy if you don’t take action now.